In the photo above, that’s me… the smallest one in this wedding party lineup. Standing in front of my sister. I was 4 years old. Specifically, I was almost 4 months away from turning 5. My sister got married on April 20, 1968. My brother Greg is in that photo as well [3rd from the right]. As is my mom [2nd from the left]. I don’t have many memories of that day, other than what seeing this photo brings back. 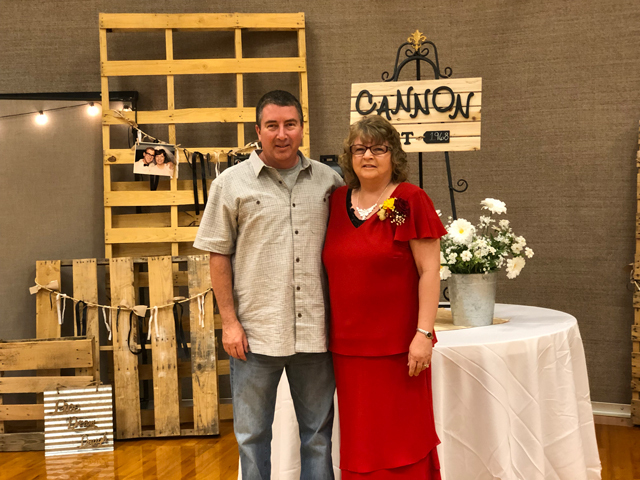 And more than 50 years later, I was able to be at the celebration of her 50th wedding anniversary to her husband George. They live in Nampa, ID and the 6 hour drive from Salt Lake City, UT was worth the travel time. We stayed at a hotel in Bosie, ID, which is about 20 miles away. 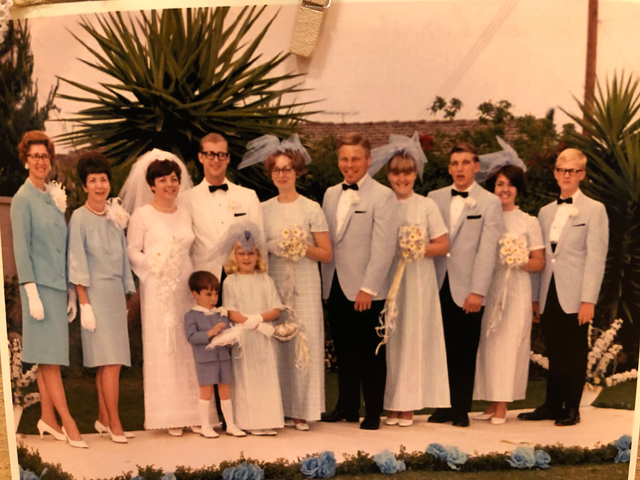 The photo that I posted above of me in the wedding party was part of the celebration, joining many other photos that were taken 50 years ago. 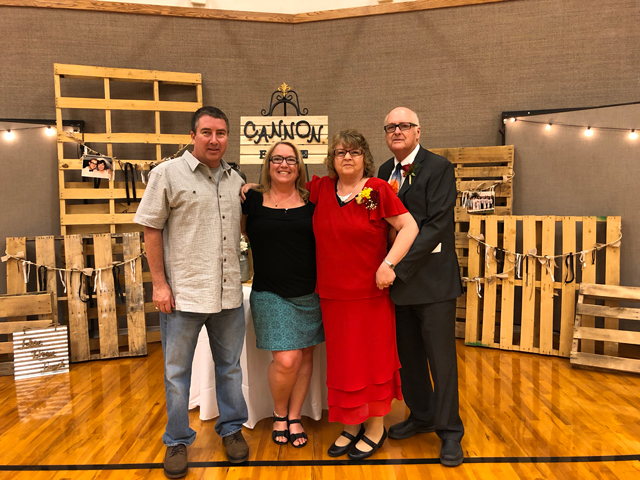 Both my wife and I were there to help celebrate, and to get in the photos with the bride and groom, still together more than 50 years later. So glad we were able to drive up to celebrate with them and the many children and grandchildren that were there as well.